Our Lady of Fatima Elementary sent two students to compete in the local MATHCOUNTS Competition Series held at USM – Gulf Park on February 16th. The competition is a national program that provides students the opportunity to compete against their peers. The local meet had over 100 students in grades sixth-, seventh- and eight- from 13 local public and private schools in a math competition. 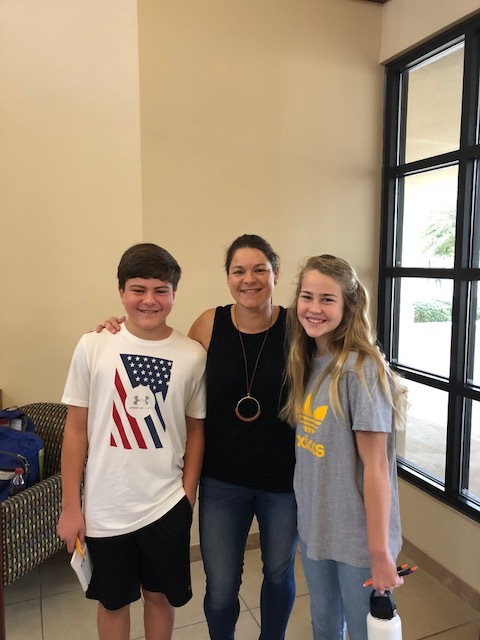 Under the direction of OLF math teacher, Michelle Moak, OLF sent two 6th graders – Zoie Davis and Heith Shinn to the competition. Heith captured first place in the 6th grade division and will travel to Jackson in late March to compete in the state competition.